Place your QuickShip order today before 1 PM EST and your order will ship the next business day. Ranger Design leads the way in vocation organization. And now, Ranger Design provides the power of 24-hour shipping to get you on the road to success faster than ever! 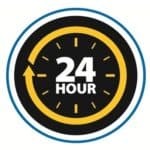 Ranger QuickShip guarantees that select packages will ship within 24 hours! We have QuickShip available for most upfit packages for these vehicles. You can get more information on our products for these vehicles by clicking on their picture. Break away from the pack with Ranger Design QuickShip and discover why more contractors in more industries have turned to Ranger Design’s high-quality steel and ultra-tough aluminum storage solutions!